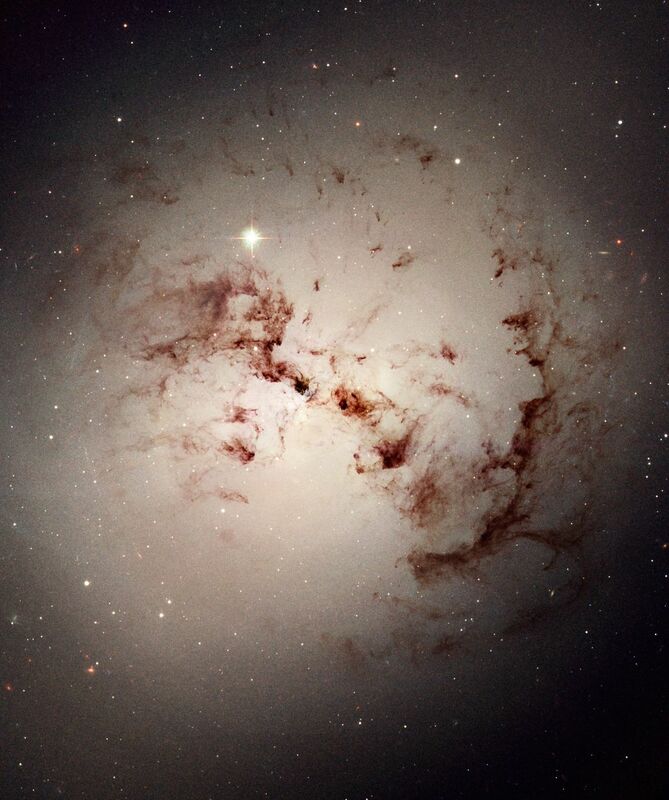 Like dust bunnies that lurk in corners and under beds, surprisingly complex loops and blobs of cosmic dust lie hidden in the giant elliptical galaxy NGC 1316. This image made from data obtained with the NASA Hubble Space Telescope reveals the dust lanes and star clusters of this giant galaxy that give evidence that it was formed from a past merger of two gas-rich galaxies. 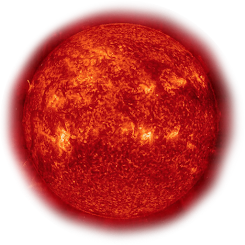 The combination of Hubble's superb spatial resolution and the sensitivity of the Advanced Camera for Surveys (ACS), installed onboard Hubble in 2002 and used for these images, enabled uniquely accurate measurements of a class of red star clusters in NGC 1316. Astronomers conclude that these star clusters constitute clear evidence of the occurrence of a major collision of two spiral galaxies that merged together a few billion years ago to shape NGC 1316 as it appears today. NGC 1316 is on the outskirts of a nearby cluster of galaxies in the southern constellation of Fornax, at a distance of about 75 million light-years. It is one of the brightest ellipticals in the Fornax galaxy cluster. NGC 1316, also known as Fornax A, is one of the strongest and largest radio sources in the sky, with radio lobes extending over several degrees of sky (well off the Hubble image).